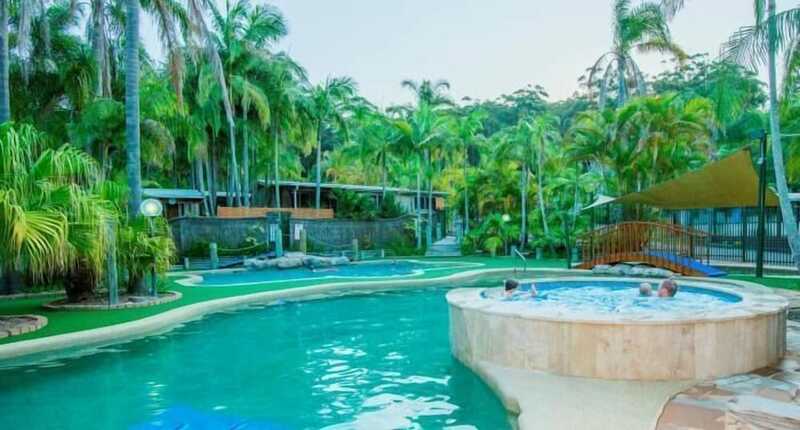 Located in Avoca Beach, The Palms At Avoca is within a 15-minute drive of Copacabana Beach and Terrigal Beach. This family-friendly campground is 9.8 mi (15.8 km) from Putty Beach and 10.9 mi (17.5 km) from Ettalong Diggers Club. Make yourself at home in one of the 45 air-conditioned rooms featuring kitchens with full-sized refrigerators/freezers and stovetops. Rooms have private furnished patios. Flat-screen televisions along with DVD players are provided for your entertainment. Conveniences include microwaves and coffee/tea makers. Take advantage of recreation opportunities including an outdoor pool and a spa tub. Additional features at this campground include an arcade/game room and barbecue grills. This Caravan Park property is rated 3.5 stars.